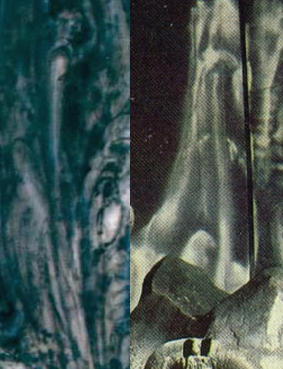 are shreds of material hanging off. 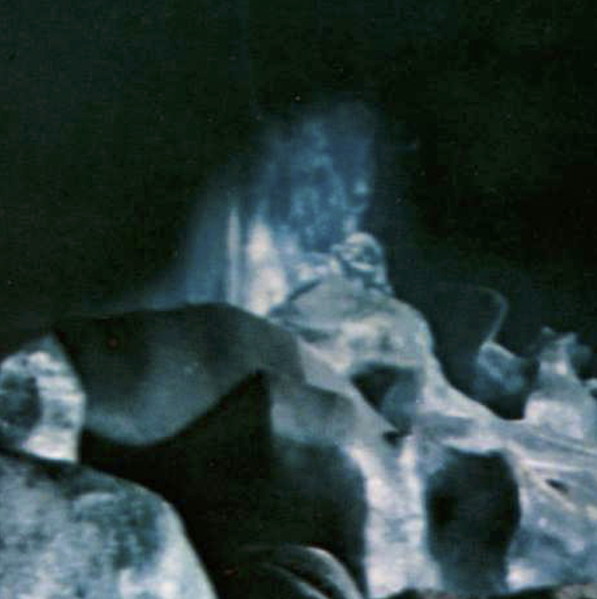 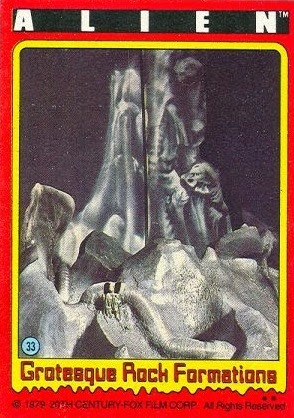 Grotesque rock formations were first observed in the form of the Topps card. 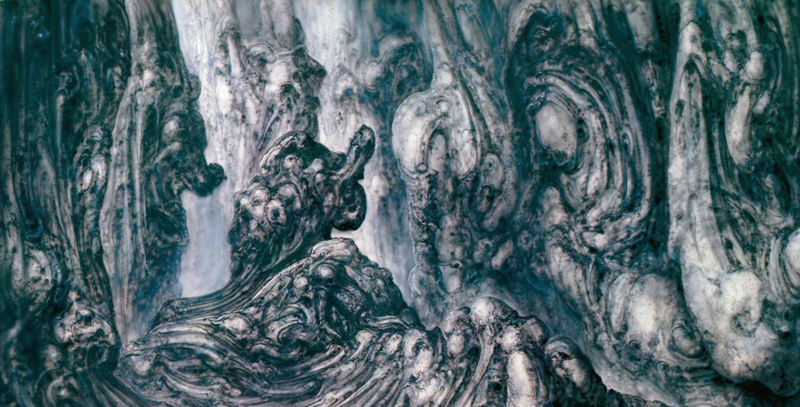 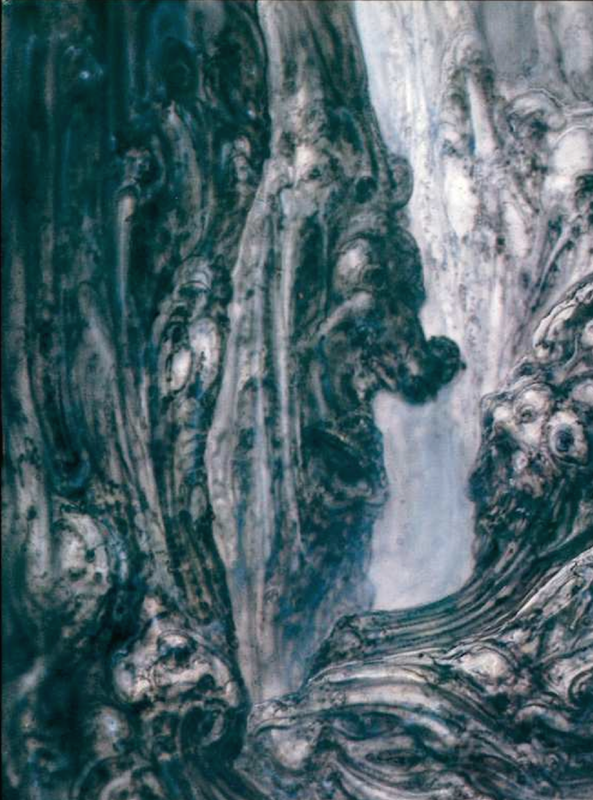 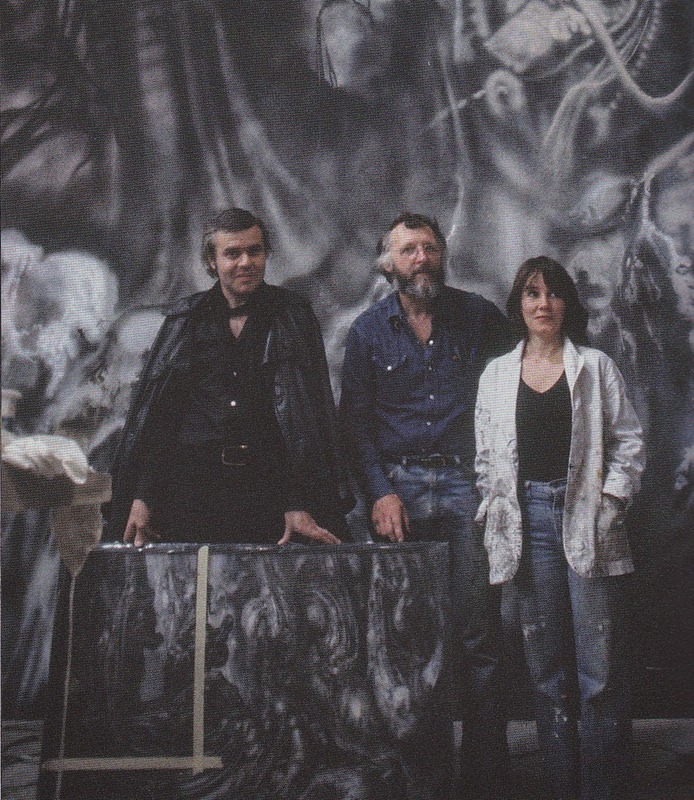 I soon realised that this backdrop was based on a section of the Giger's painting for the bone landscape work 385 as seen in the Giger's Alien book. 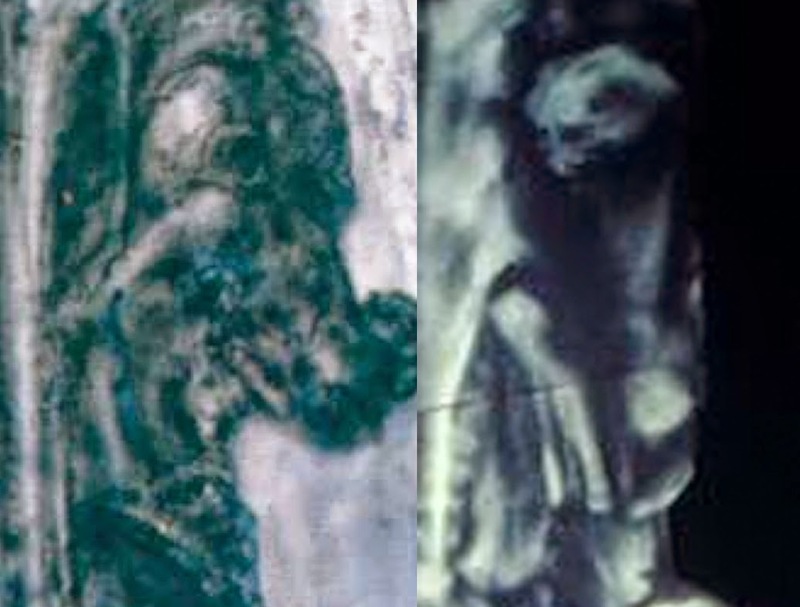 However in the scenery, the painter has added certain things such as a skeletal crouching form at the top on the right and some strange unearthly shape below that which looks like a head with fan like ears staring up. 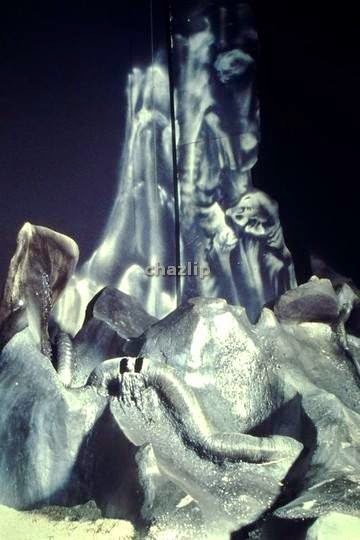 Many different ideas have been talked about in terms of what this image could be by people who had seen the image, but of course whatever it was about, it had nothing to do with the Alien film's scenario, it was also unlikely to be seen in the final film anyway. 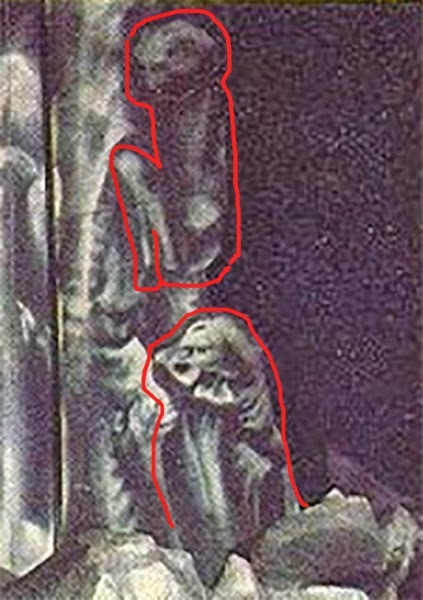 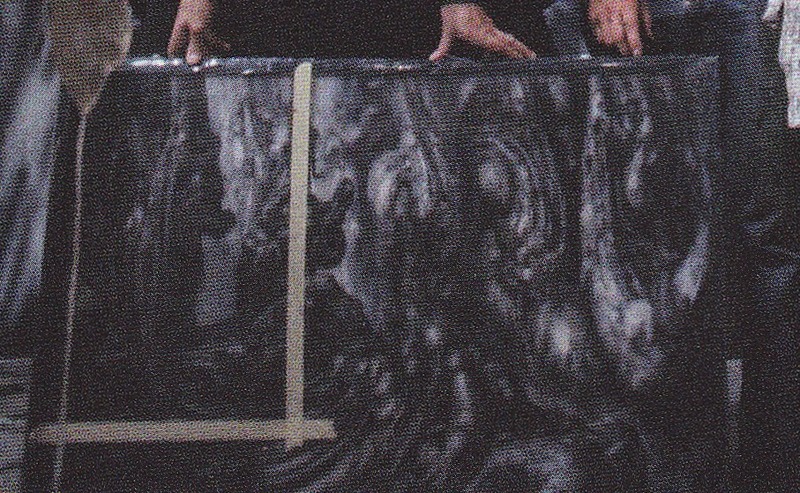 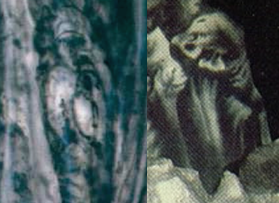 A photo backing this likelihood that it was based on a section of Giger's Work 385, appeared in Giger's Diaries showing that very part of the painting sectioned off.